Building Character is written for leaders who understand their responsibility to develop authentic leaders within their organizations. Without presenting an overarching moral code or a prescriptive code of behavior, this book offers leaders and managers a practical model complete with the tools, information, and processes to develop character in leaders at all levels. 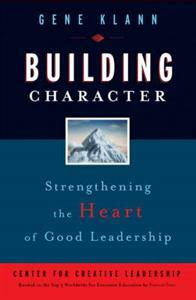 The author explains the role character plays in leadership success and effectiveness and outlines how character can be developed through the Five E's-Example, Education, Experience, Evaluation, and Environment.